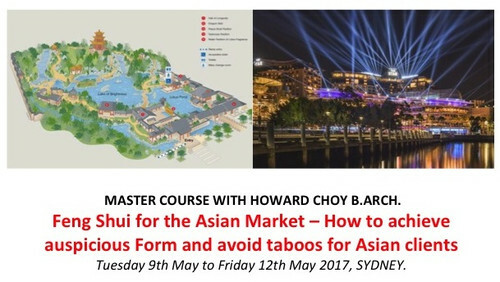 A 4-Day Master Course with Howard Choy B.Arch. Please clink onto image below for all the details. Date: Sat. 13th and Sun. 14th May 2017. Venue: University of Technology, Sydney Australia. Theme: “Canopy and Chariot – Chinese Concepts of Heaven and Earth in the Feng Shui Tradition. Cost: Almost next to nothing, you can afford it! The following rising stars in the Feng Shui world and Post-Modern Grandmasters will reveal to you their many years of research, in their hidden Ivy Towers, the most inner secrets of this mysterious and intangible cultural heritage of China, in two short days at a cost of a cheap i-phone. 1) Dr. Hong Key-Yoon – University of Auckland. 2) Dr. Derham Groves – University of Melbourne. 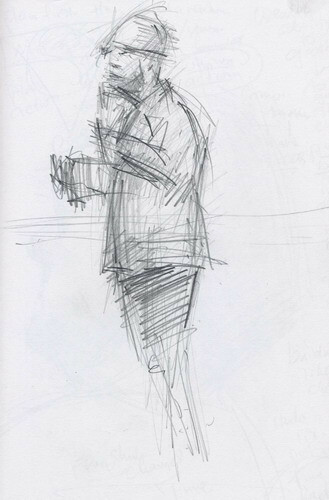 3) Dr. Micahel Paton – University of Sydney. 4) Dr. Michael Mak – University of Newcastle. ….and many more of course, like Grandmaster Yap Cheng-Hai’s daughter Boon Yap, who will reveal, the never before, Feng Shui secrets passed down through her family. You cannot, simply not possible, ask for more. It will be better than any Feng Shui Extravaganzas or boring conferences you will ever attend in your life. Come and enjoy the warm sun and the funny Aussies with their BBQ jokes! To download a pdf file for details, please click onto the image above. This intensive master course will provide the theory and practical information to enable you to understand and effectively use every ring of your Xuan Kong Bazhai Luopan. · “Longmen Baju” or the “Eight Sets of Dragon Gates” also known as the “Early and Later Heaven Water Methods”. 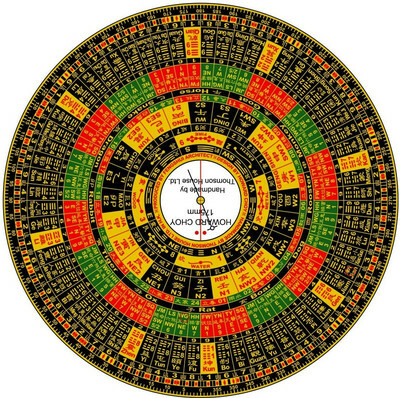 · The use of the 24 Mountains in Xuan Kong Feixing calculations, along with Howard’s comprehensive checklist of how to carry out a Flying Stars audit and analysis with the Luopan Compass. · Date selection for building construction and renovations, using the 24 Solar Terms. · The Bazhai Mingjing and the Yangzhai Sanyao Eight Houses Methods (Eight Mansions), with theories and practical applications. · The theory and the use of the Replacement Stars in Xuan Kong Feixing. 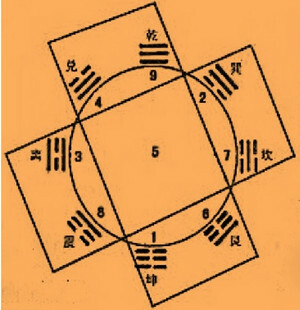 · The theory and the use of the Xuan Kong Da Gua system, including how to obtain the “One Pure Gua”, “Mutually Generating” and “Adding Up to 10” arrangements. You will be provided with a comprehensive set of course notes. 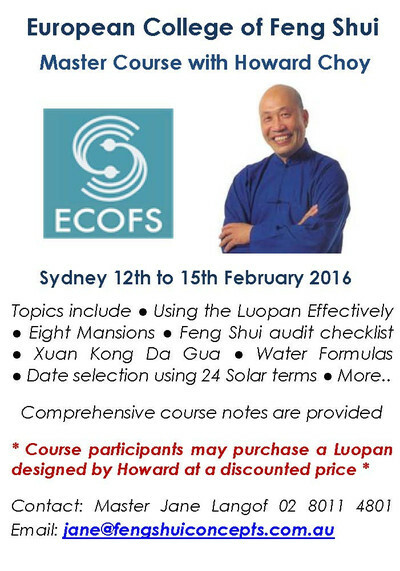 Course participants have the opportunity to own a Luopan designed by Howard Choy and hand-made by Thomson House in Hong Kong at a discounted price of AU$300 (regular price AU$400). 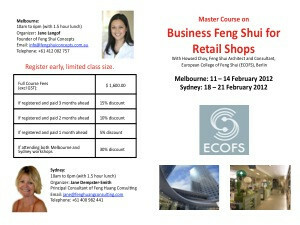 This course is suitable for practitioners and students with knowledge of Feng Shui fundamentals. The course is intensive and covers four Feng Shui systems and date selection methods – therefore your serious commitment to study is required. A non-refundable deposit of $180 is required to guarantee your place, as numbers are limited. To qualify for the Early Bird discount, fees are payable by 1st Feb 2015. LET’S LEARN SOME NEW TRICKS IN THE NEW YEAR! "The Early Heaven is the Ti and the Later Heaven is the Yong"
My 2013 Trip Down Under. IFSA CNY Presentation: How Residential Feng Shui was used in Traditional China - A case study based on the traditional residential dwellings in China’s Shanxi Province. AFSC CNY Presentation: Lets Have Some Fun!...and do some yearly predictions for next year of the Water Snake (2013) With Grand-­‐Grand-­‐Grandmaster Howard Choy, AFSC Honorary Life Member! Howard Choy on the eve of CNY – Kung Hei Fatt Choi! Andrea Stoltenberg, Jill Lynch, Luise Leggatt and Jeannine Stephens. Jane Dempster-Smith in Sydney, I hope you can join me, please click the above image to download pdf file.